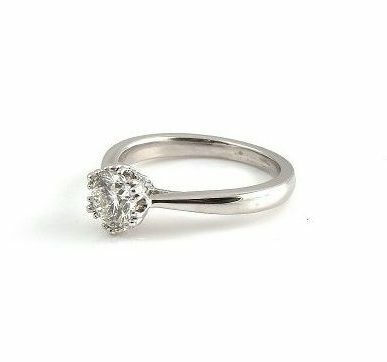 An 18k white gold round brilliant cut diamond solitaire ring. 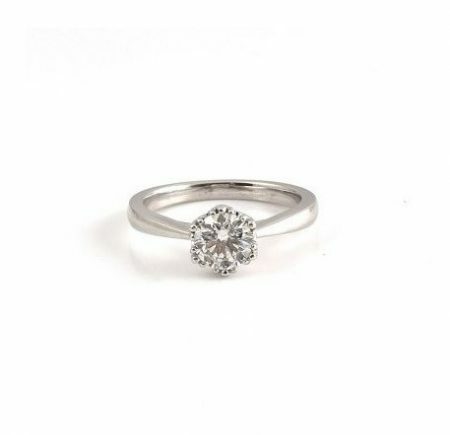 The central diamond is 1.02ct, G colour and I1 in clarity, set in a six triple claw floral design collet which is set with 4 small round brilliant cut diamonds. 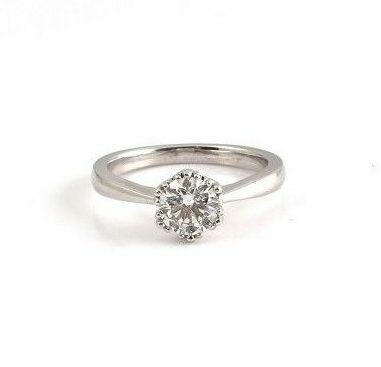 Looking for a wedding ring to match? View our collection here.